Best Gardening Books For Beginners To Up Your Gardening Game! 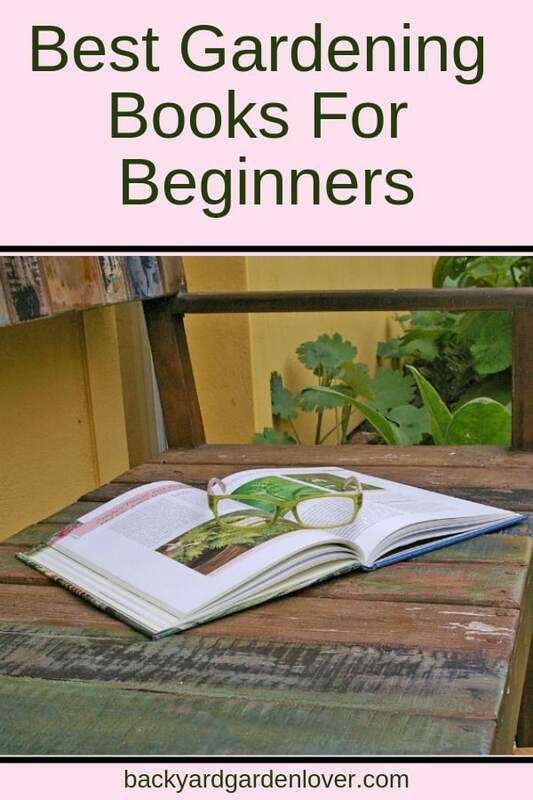 When first starting out learning about gardening, reading the best gardening books for beginners is extremely important! There is so much information to learn when it comes to gardening, that you need to prepare and educate yourself by reading multiple gardening books. 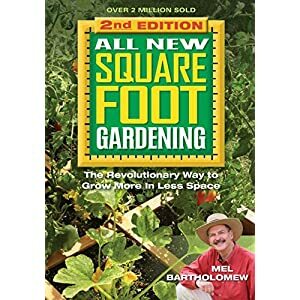 Remember…not all books are created equal in the gardening realm, so expand your mind and knowledge as much as possible to expand your green thumb. Buying great gardening books is always a good idea because you then own them to refer back to whenever you have questions. Think of it like your own little personal gardening library. 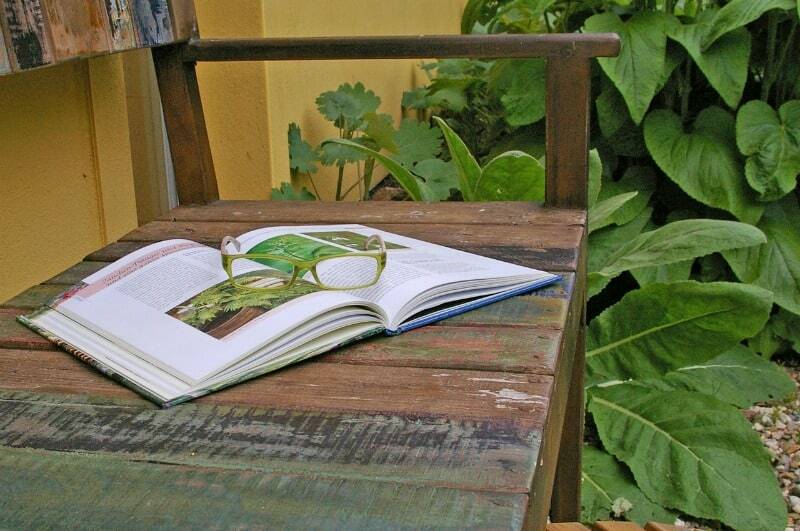 Reading up on and doing your research will help you have your best garden ever! The gardening books for beginners you read will vary, depending on your zone and your interests. Do your research and find books that are applicable to you and your geographic location. If your soil can’t grow something in your climate area, why spend time learning how to do so? Here are some types of gardening books to try. Winter Gardening. Read and learn how to garden during those cold, winter months. It is possible to find ways to garden all year long. Vegetable Gardening. Research and decide which vegetables will grow well in the climate that you live in. As you grow lots of veggies during the summer and fall months, you can preserve and enjoy during the winter months! Fall Gardening. Many gardeners will have two gardens during the year: one summer garden and one fall garden. Both can provide wonderful food that is healthy and safe! Check out these herbs that thrive in the fall. Low Maintenance Gardening. These books will help you succeed in starting a garden that requires minimal effort on your part. When first beginning gardening, low maintenance gardens are always a good choice. Flower Gardening. Your garden doesn’t have to be just full of vegetables and other edible items. You can have a beautiful and colorful garden full of seasonal flowers. Herb Gardening. Channel your inner love of cooking and see what options await you for having an herb garden. It’s simple, and smells so good! Here are 5 easy to grow herbs. Organic Gardening. Using all-natural methods and organic options are always a good idea when it comes to your garden. There are so many great resources on how you can accomplish this. Farmstead gardening. It’s possible to turn your home and yard into an entire garden plot! Finding ways to use all the space provided is key. and so much more! Gardening books are great resources to dig deep and ready about any and all questions pertaining to gardening and how to grow a garden that you may have! You can never learn too much about gardening! Now that you understand that gardening books can vary, here are some of my favorites. All of these provide great information and can be a great resource for your upcoming gardening needs! This gardening book for beginners will show you how to grow a garden in whatever space you have available. Whether you live out in the country or in town, if you have an area of land at all, you have a space to grow a garden. Learn how to make gardening fun for kids, and also learn about the popular vertical gardening technique as well. It’s no secret that bugs can be a major problem in your garden. BUT, do you know the difference between those bugs? 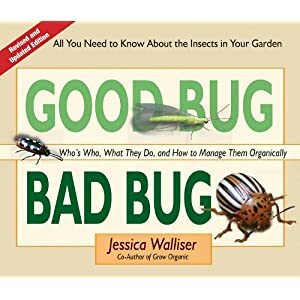 With this help gardening book for beginners, you can learn how to identify, tackle and eliminate the bugs that you don’t want to be hanging out in your garden. Plus, this book does a great job at organically tackle the bug issues that you may be having! 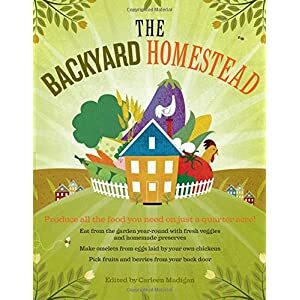 Amazon Review: 4.5/5 The Backyard Homestead: Produce all the food you need on just a quarter acre! This is one book that truly seems to have it all! You’ll learn everything that you need to know to grow grains and vegetables and also learn about raising animals for meat. Plus, even some good info about honey bills. Growing plenty of food in the summer will help you be prepared by canning all that garden goodness to enjoy during those long winter months. The title is truly telling about this book! 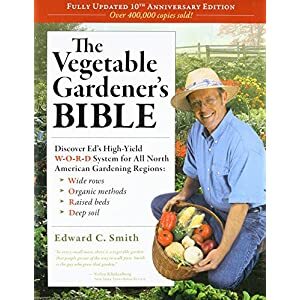 There are literally hundreds of different varieties of vegetables that one can grow in their garden, and this top gardening book can help you filter through all the different choices. This book appeals to all different levels of gardeners and can provide great options for growing vegetables in their garden. Ever wonder just exactly what you’re supposed to be doing every week in your garden? Wonder no more with this great beginning gardening book! 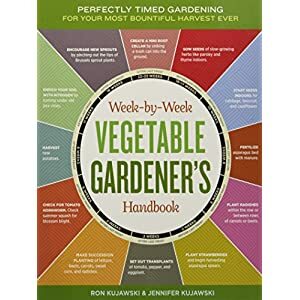 Not only will you get a breakdown of weekly tasks, but you’ll also have a guide to them help hold you accountable for growing the best vegetables possible in your garden. For those beginner gardeners who have always wanted to start an organic garden, this is the read! This book covers all the topics that you need to be able to start, grow and maintain your very own healthy garden. Packed full of great advice and tips, this one is a page-turner for certain. With 5/5 stars on Amazon, the readers have spoken! 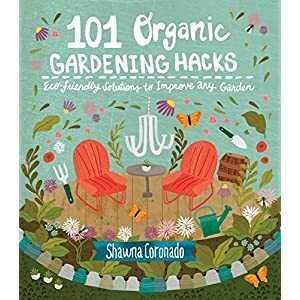 Organic gardening doesn’t have to be difficult, and this book will help show you all the varying organic gardening hacks there are! Jam packed full of clever hacks that everyone who has, or wants a green thumb should know! Who says that your garden has to be full of food? 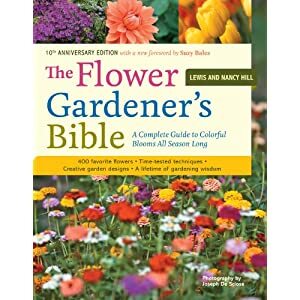 There are millions of people around the world that have flower gardens as well, and this book will show you over 400 different varieties of flowers that you can plant, maintain and watch grow, with ease! Packed full of beautiful illustrations as well! 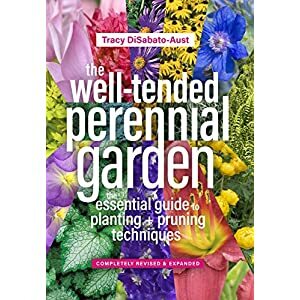 Experienced gardeners will learn a lot from the details explained in this book on perennial care. That includes directions on deadheading, pinching, and thinning, along with a ton more information about monthly planting, how to maintain, how to garden for wildlife and also information pertaining to native plants. Having an herb garden can be a great way to start your own garden and find ways to grow from there. 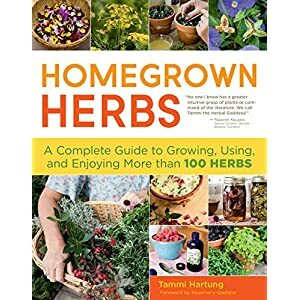 With this book, you’ll learn a lot about how to grow herbs, how to maintain them, and what herbs would be the best for you and your location. With over 100 different herbs covered, you’re certain to find a few that you’ll love. Stepping out and gathering herbs to use in cooking is always a fun way to incorporate your garden into your everyday meals. Looking for a safe, organic, all-natural way to grow herbs in your garden? This gardening guide may be just what you’re looking for! Full of practical tips and advice that any level of a gardener can use! 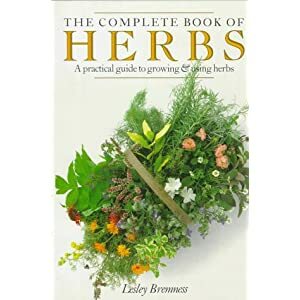 This book teaches you how to grow and care for herbs, but it also packed full of other ideas and ways that herbs can be used. Cooking is one of the most common methods for using herbs, but herbs can also be found in floral arrangements, beauty care and so much more! 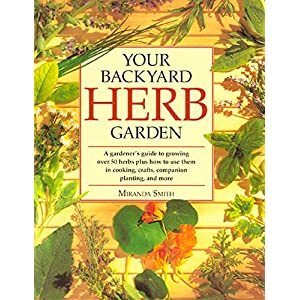 Planting that herb garden is the first step then reading this book can help open your eyes to all the options. There you have it! I hope you liked my list best gardening books for beginners! 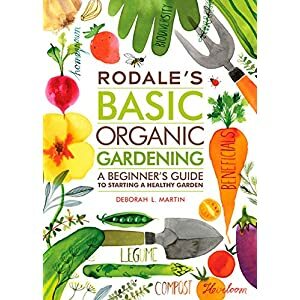 If you are looking for ways to get into the gardening game or just increase your overall knowledge about how to garden, these recommended books listed above are a great way to get started! Once you take the time to educate yourself on how to garden, you can then take the appropriate steps to begin creating and cultivating the garden of your dreams! But first – read about how to set your garden up for success! The sooner that you crack open these educational gardening books, the better! Who knows, your garden may be rocking and rolling in no time!